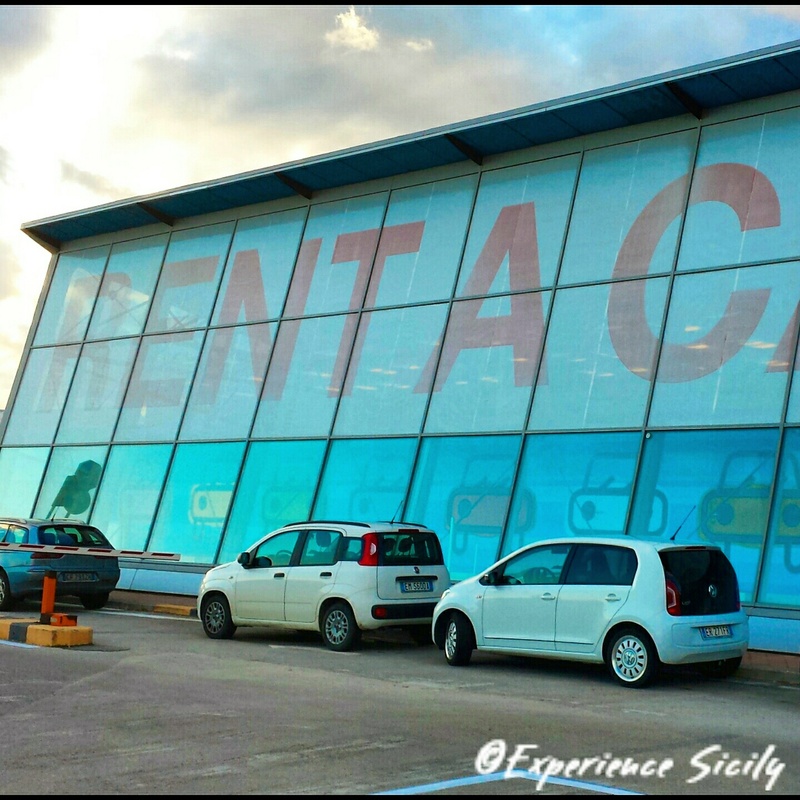 The car rental counters at Palermo’s Falcone-Borsellino Airport don’t open until 8:00 a.m. So, what do you do if you arrive on an early flight–like the Meridiana flights from New York’s JFK airport that arrive as early as 6:00 a.m.? Here’s my tip: Don’t go to the car rental pavilion until 7:45 a.m. Reason being that there are only vending machines there and few places to sit. My suggestion is to stay in the terminal and go up to the top, Departures level of the airport where there is an excellent bar, benches, and a news agent. Buy yourself a cappuccino and a cornetto (what we call a croissant) or two, have a seat, and rest a bit. Perhaps pick up an Italian magazine to see what they’re gossiping about. Enjoy your first hour in Sicily with latte macchiato and a guilty pleasure glossy (I like fashion and shelter magazines myself.). Then at 7:30 or so, head back down to the Arrivals level to hop on the orange shuttle bus that will take you to the car rental pavilion. When you arrive after you’ve enjoyed your Nutella-pastry, they’ll be open and waiting for you.